Piedmont Food and Wine Tours: Custom Northern Italy wine country programs. 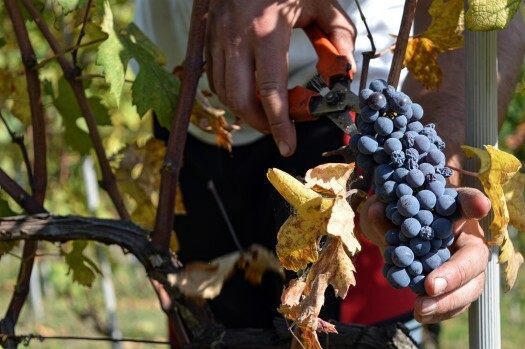 Tell us your interests and we will create a custom Barbaresco and Barolo wine tour package for you. 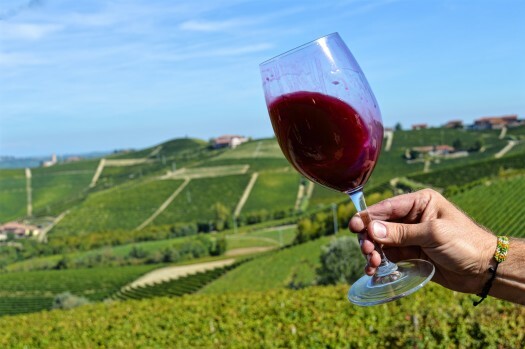 Our full day Piedmont food and wine tour experience include two winery stops (maximum of three) so you can truly experience the magic of Piedmont wine country. Piedmont Food and Wine Tours: Just the right pace. We take our tours slow to give you extended time with producers, a traditional Piemontese lunch with local wine, as well as village and vineyard stops. Tastings are selected based on your interests. We arrange cooking classes, specialty tasting menus, visits with cheese producers, pasta makers, truffle hunts, and more. Try our concierge travel planning service for Northern Italy wine country and beyond. You receive a detailed itinerary that is complete with Google Map directions, cost breakdowns, contact information, and other important details. 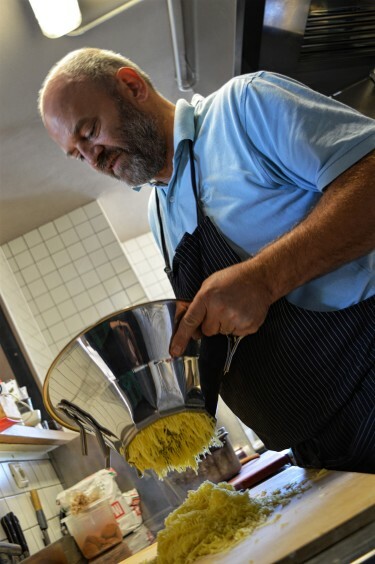 Piedmont Food and Wine Tours: Who are we? 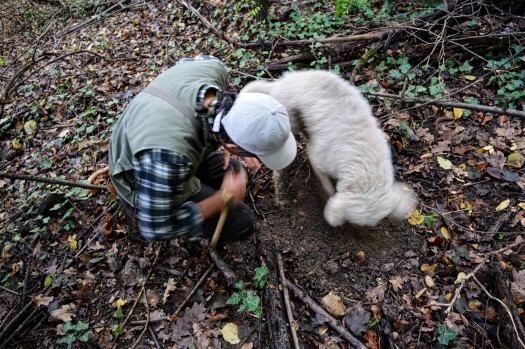 Evan and Val – two expats who fell in love with the wine, food, and beauty of Piedmont. Evan Byrne has lived in Piedmont for more than a decade in various parts of the wine industry from the Roero Hills to Barolo. He also spent a year making wine in Australia. His knowledge of regional and global wines is expansive. Evan leads our tours. Got questions? He’s got answers. Valerie Quintanilla fell in love with Piedmont on a wine holiday in 2011. She returned to the region in 2012 and met Evan. Her marketing and event planning background means the logistical part of your trip will be masterfully developed. Got planning needs? Val can get you organized. Book Your Piedmont Food and Wine Tour Today! I was researching Piedmont wineries and I came across your blog! My fiancé and I love to plan and direct our own wine excursions, but I was wondering if there were any small, back lane wineries that are truly special but harder to find than the larger, more established ones (Gaja, Azelia, etc.). If there are any posts or other resources that I missed please let me know!! Thanks for the note, Greg. There are many wonderful small wineries. Those are the places we prefer to take clients. I just wrote an article for Winerist.com on 10 Piedmont wineries to experience. Check it out. There are two parts with a list of 10 stops around the region, not limited to just the Langhe. I specially selected wineries that feature indigenous grapes as well as varied winemaking styles. Let me know what you think! Piedmont Wine Guide: 10 wineries to experience. Val’s wine tour is simply fantastic. I reached out to Val to plan my trip to Piemonte after discovering her blog in July. In addition to planning the most wonderful day for us, she went above and beyond answering my (many!) questions prior to the trip. She advised on hotels, transportation, restaurants, and so much more. A week before we were scheduled to arrive, we found out that the specialty food market we were going to visit for lunch was closed on the date of our tour. Val knew I was quite the gastronome, and arranged the most spectacular, unique experience for us: a 3 course, homemade pasta lunch by a revered local pasta maker in his own home. The day was about 105 degrees but Val and everyone we were introduced to were all smiles. 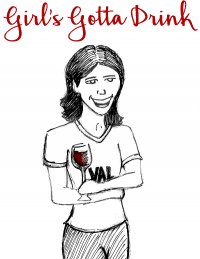 Val is very knowledgable about wine, and her enthusiasm for the subject is contagious. We were pleased, however, that she was eager for us to experience the wine region firsthand through local producers. She carefully picked each vineyard so we could experience the full spectrum of wine in the area. First, we went to a local producer who took a very traditional approach to viticulture, and next, we went to a forward-thinking producer who took a more marketing-based approach. I really appreciated the contrast, and how Val made sure to pick producers who communicated in English well—that was important! I truly felt that I got to understand the Piemonte region and culture in a way I wouldn’t never been able to experience had it not been for Val’s tour. It was hands down the best part of my 10 day trip. Val is thoughtful in her planning, and a complete delight to be around. I cannot say enough positive things about her and Evan and recommend this tour to anyone looking to get a true taste of the Piemonte region. Thank you so much, Rachel! It was so much fun planning your time with you and the day was so fun. If you decide to head back to Italy (our area or not) for your honeymoon, please don’t hesitate to reach out! We would love to give you some ideas on to dos, eats, etc. Evan hosted us for a day of wine tasting and wine education in mid January, so we were expecting snow. As it turned out, Evan and Val could even control the weather as we were able to wander through the vines almost in t-shirts! The day was informative, educational and very convivial. The small wine makers we met were exceptionally attentive and we tasted a dozen wines from white through Champagne method sparkling to Barolo. We will return and will definitely reach out to Evan and Val again. Thanks for a great day! Thank you so much, Craig! We have been pretty lucky with the sunny days. Now, if we can just get a little snow to help out the 2016 vintage. We are so glad you both enjoyed the day out and do look forward to showing you around on your next trip out! Ciao ciao! We really enjoyed Evan touring us around for an afternoon. His knowledge of the history, geography and agricultural production (including wine) in the area made him an excellent tour guide. His learned perspective and his refined palette added to our understanding and enjoyment. He took us to a few wineries around Barolo and Alba and it was apparent that the proprietors liked and welcomed him. We hope to join him on another tour when we have more time to spend. Thank you so much for the kind word, John! We are so pleased you enjoyed the afternoon with Evan and look forward to spending time with you here again! We really enjoyed the day tour with Evan. We started in Barbaresco area and a visit to Ca’ del Baio with wine tasting which was really great. We then went up to the tower of Barbaresco village. Next was lunch at an awesome place with the best wine I’ve had in a long time (actually spend rest of the trip looking for it-with success) and stunning views. Next was a visit to Palladino winery in Barolo area with wine tasting and we also had time for a visit in cantina in Barolo town. We learned a lot about wines and living in Italy as an expat. Thanks so much for the note! We are so glad you enjoyed the day and learned a lot. Evan is a walking vino encyclopedia! Karin and I had an amazing Monday guided by Evan. We had a very nice and interesting cooking class in Novello. We made gnocchi, several types of pasta, we fried faraona and made pannacotta. After a short walk we were served the food we just made together with local wine Everything tasted fantastic. In the afternoon we visited a local cheese farmer, Silvio, that makes cheese the traditional way. Inspiring, fascinating and again well tasting. Evan knows Piemonte, Italy and wine making very well and is also a great guide and a pleasant person. We truly recommend your wine and food tours! Grazie mille, Mikael & Karin! Evan said the day was a lot of fun! We are so pleased you enjoyed it. We do hope you make it back to the region! Hi. My husband and I are staying at Villa dAmelia in Benevello June 2-6 and we would like to set up wine tours and maybe a cooking class for Sunday, June 3 and Tuesday, June 5. Would you be able to help us? I’m looking for a day winery tour in Barolo area October 5-6. Possibly would spend a day near there if I could. (I’ll be travelling from Florence). Would you be able to help me set up a tour? Thank you in advance and I look forward to hearing for you. Hi Amy! We’ll be in touch today! We’re looking for a wine tour for 2 at the end of May 2018…. Do you have any available ? Cost? Ciao, Karen! Thanks for the message! We’d love to show you the area. I sent a message. Please let me know if you didn’t get it! Thank you very much for your wondeful wine tour in Barbaresco and Barolo. My wife and I had a very good time and great experience during the tour. The winery is very generous to give us both eductional and tasting sesions. I will definitely recommend your tour for my friends. Thank you for the message, Chatchai!! Evan said he had a great time yesterday. Enjoy the rest of your holiday! Hello! I stumbled upon your page and the information is wonderful! I have been researching a trip to the Piemonte region for a while now (big fan of Nebbiolo), but keep running into an obtacle because I will be traveling alone and all of the tours I see are set up for a minimum of 2 people or small groups, which I assume would be families and/or people who already know each other and want private tours. Are you familiar with options for solos to join with other solos and/or groups that are mixed? I’ve been advised about booking tours for me alone, but think it would be more fun with others…I have met some great friends in the past joining other group tours all over the world. I can get back to you with information on our programs and rates! Val, my daughter (19yrs) is travelling solo and is having challenges finding what she’s looking for – a cultural experience of the areas visited instead of the tourist experience. Any advice you can share regarding how to get to a local experience vs the usual tourist sites etc? She’s currently in Naples and has 4 weeks to get to Frankfurt (I wish I had this problem!!) …currently at a loss as to what to do next. Thanks for reading and reaching out!! Hi Val, we are putting together a wine tour for a California winery and 12 of their wine club members. They really want to spend a week in Piedmont with cooking classes, wine tastings, winemaker dinners etc. They want to do non-touristy places and experiences. Do you handle that or know someone who does? They have visited Piedmont before hence the off-the-beaten path wish. We can definitely help with this and would love to do it!